When I told my six-year-old that I was having a "party" on my blog, the fact that I'm giving away lots of cool prizes was totally irrelevant to him. All he wanted to know is "Is there going to be cake?" He assured me that if there was no cake, there was no party. I'm far from a food blogger, but it just so happens that sketch noting is pretty flexible and can be used in a variety of ways. I decided to try out another sketchipe and post it here to meet the cake requirement. 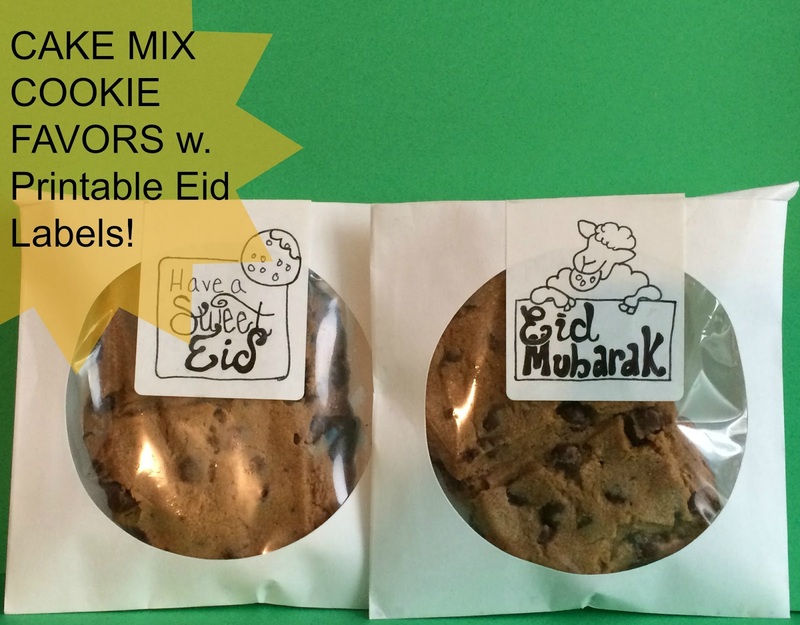 Initially I searched for cake or cupcake recipes, but then remembered our forgotten tradition of baking cake mix cookies and handing them out for Eid. 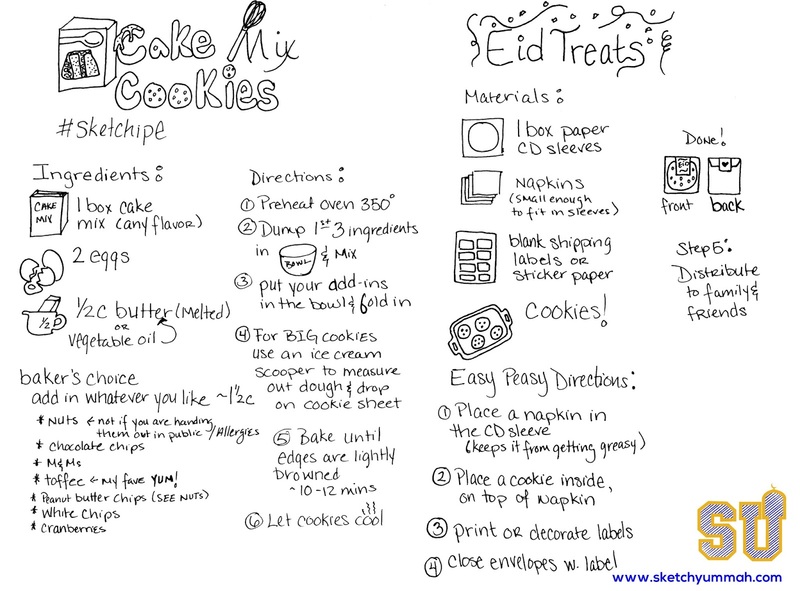 So there, killing 3 birds with one sketch, we've got a dessert for the blog party, a sketch note, and a family Eid activity + a free download of labels to print for your own cookies. You can check out my other sketchipe for Date Pecan Pie, another Eid favorite. And don't forget to pop by the party post to enter to win some really great stuff, entries close on Sept. 30 at 11:59 EST.